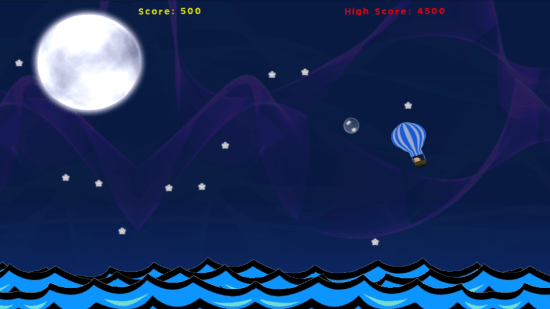 Balloon Traveler is a free adventure game for Windows 8 and 8.1 PC. This old guy Phineas is out on an adventure on his Hot air balloon. You need to help Phineas, and keep his Hot air balloon in the air. The game has interesting graphics and sound; you can even play it in different modes. Balloon Traveler is a 16.4 MB Windows 8 game, which consumes less time, and less space for installation. This adventure game for Windows 8 is developed by Isolo Software Development. Game graphics are standard and attractive. 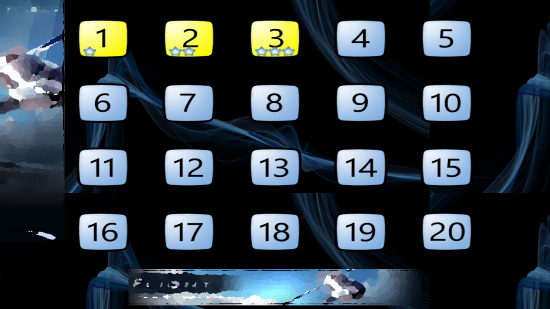 Background, as well as water wave animation create awesome effects. The music and sound creates a curious and adventurous feeling while playing the game. Gameplay of this adventure game for Windows 8 is simple. You have to keep Phineas in air, and keep his adventure alive. Click the mouse and hold to keep Phineas’ balloon in air. Releasing the mouse will make the hot air balloon drop. The hot air balloon can be controlled by single clicks as well. Phineas loves bubbles. You have to collect bubbles to collect points, and reach a high score. But Phineas’ adventure is not that easy. There are several obstacles in the path to bring Phineas’ hot air balloon down. 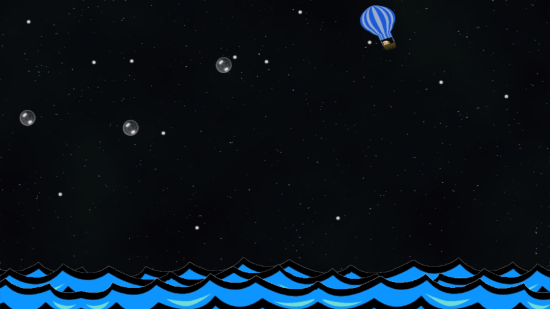 One of them is Stars; if the hot air balloon hits a star, it falls down into the sea right away. There are other obstacles as well, like falling stars, thunder, clouds, and shooting stars. Touch any of these and the hot air balloon will fall down. If you go too low towards the wave, the shark will attack Phineas, and the journey will end. Infinite Mode: Phineas decides to leave for the Moon in this mode. Click on the Play button on the Welcome page to play this mode. You can play in this mode for as long as you can survive. Collect the balloons, avoid stars and other obstacles, and create new high scores. Level Mode: Play through 20 different levels in this mode. Cross a certain distance, while collecting a given number of bubbles. Complete a level to unlock the next one. The levels get tougher with increased distance, and more number of stars. This free adventure game for Windows 8 is a good and entertaining one. The game play keeps you interested in the game, to keep Phineas’ adventure alive. 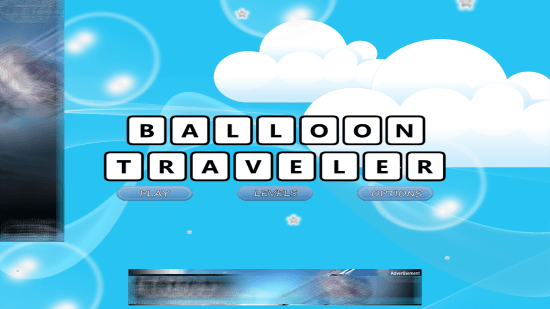 Download Balloon Traveler for Windows 8 and 8.1.